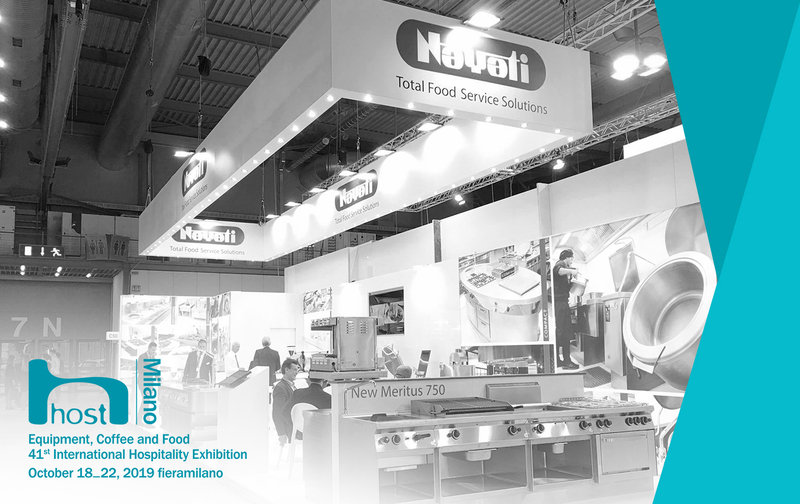 The exploration for culinary perfection encourage us to ask questions if it is ever worth the value. Our journey together with Altoro brings us closer to the answer, as they inspire us in the continuous pursuit of excellence. 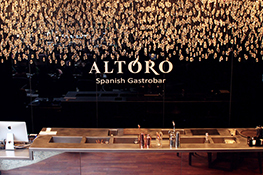 Altoro Spanish Gastrobar is a beauty of its own and we are proud to be a part of it. 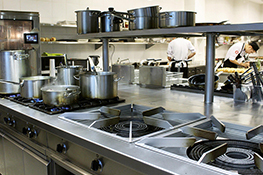 The Gastrobar, as its name signifies, fit the kitchen in two level, all day dining, and fine dining area. One building, two concepts, as they descriptively remark. 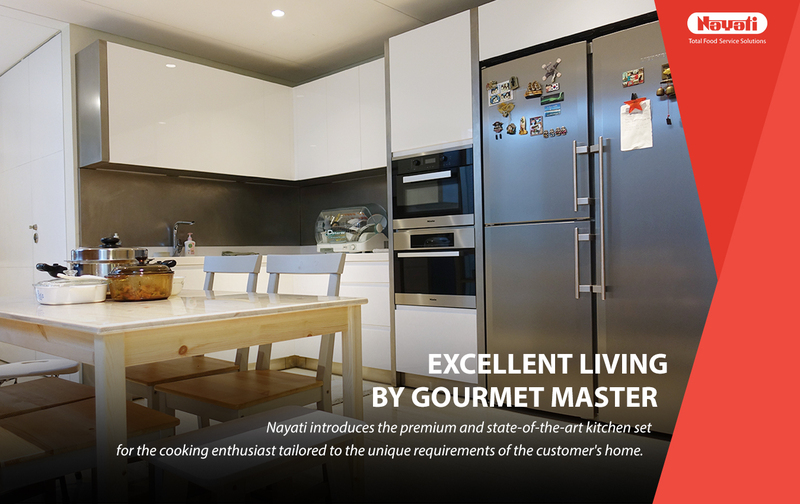 Precise customizations were required, the main kitchen is fitted with 4-meter long Gourmet Master Cooking Suite. 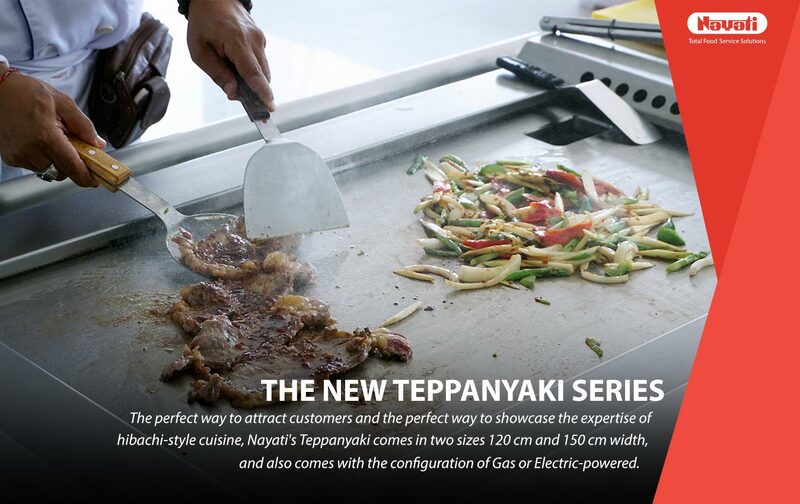 It contains various gastronomic powerhouse like solid top, charcoal broiler, paella cooker, open burner and fryer. 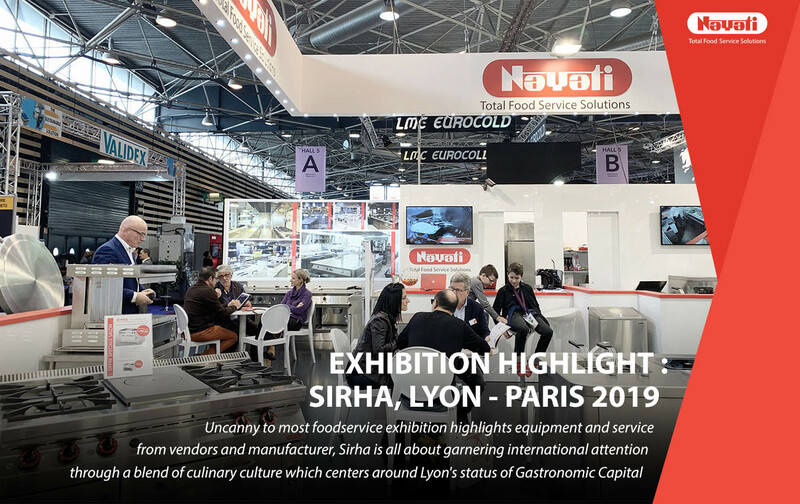 The module of equipment has to be powerful, Grandis 900 module was selected to provide the highest available power of gas cooker, it is designed to deliver consistent performance without reducing quality, especially when it comes to the Paella Menu. No request is ever too big or too small. Due to its sizing, We had to deliver in separate sections, unperturbed and uncompromised to the handicap of what it may bring. 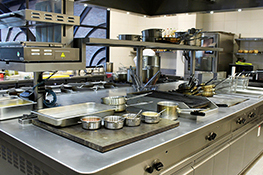 Thanks to our seamless joint, we are able to fit 4 separate sections of the kitchen block and unify it at the spot without any visible joint as the final result. This feature is not possible without separating the gas line into two, as well because the gas power load of each pipeline is too big. 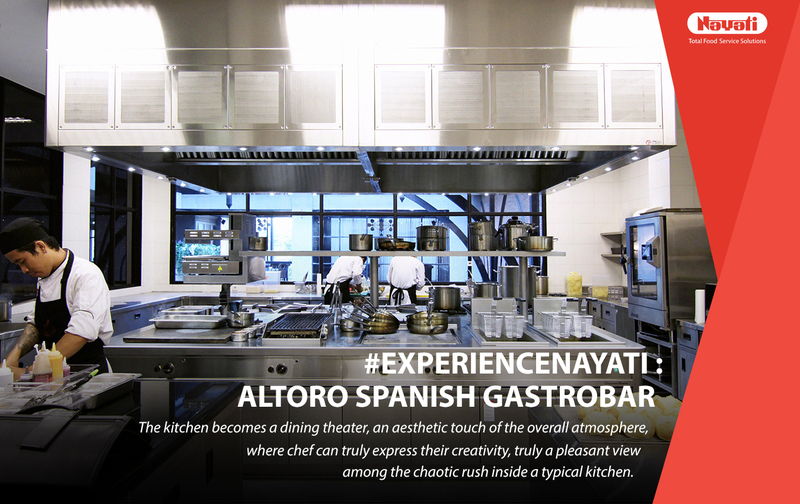 “We have a really good experience with them (Nayati) and finally, we make a very good relationship, And I really recommend Nayati for kitchen equipment and bar equipment,” says Antonio Torres, General Manager of Altoro. 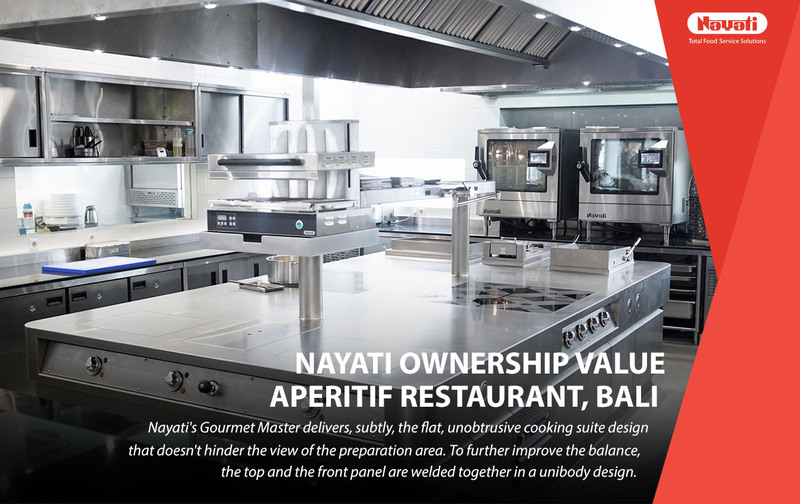 Nayati is very proud to deliver the project together with Restomart Cipta Usaha in achieveing gastronomic experience on another level in Surabaya, East Java, Indonesia. Check out our video reference below to see how Altoro operates Nayati!